can you try to be not miserable for a while? My goodness girl you found the picture that truly signifies what goes around your whole life without anyone breaking the norm. Wearing masks too big to look thru the eyes of the mask. @Zeba: She's the fourth person to do that... and why the sad face? Haha.... Even I mistook you for a girl and that went on for a year or so I guess. Will read your post jab picture load hogi. Uff... 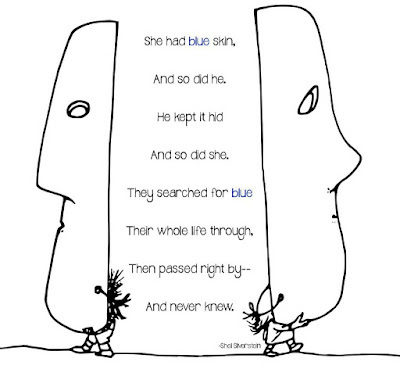 I love this poem :-) I have read it before. 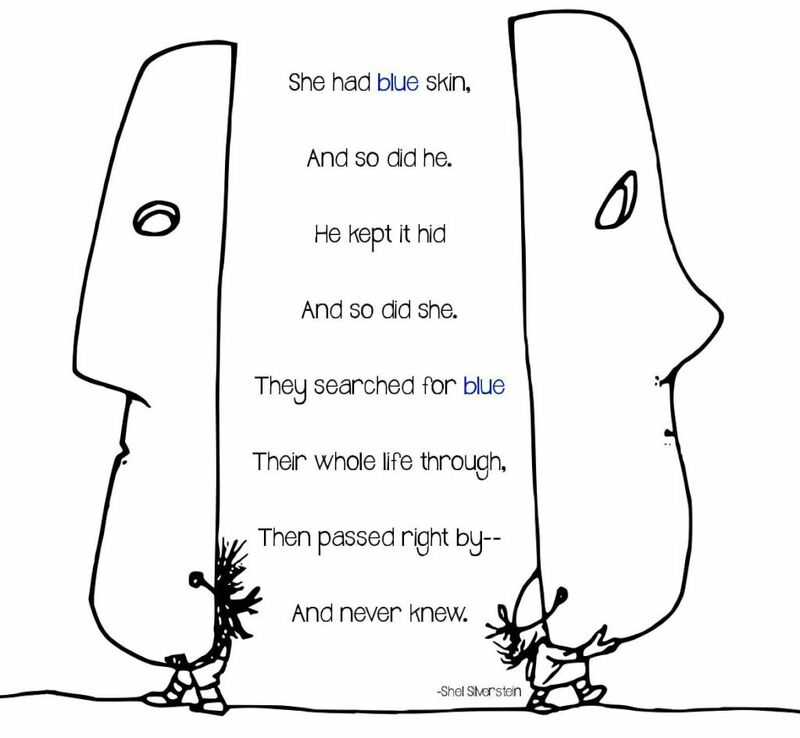 I just love Shel Silverstien's poems.H wrote for children mostly.He reinforces the belief that if anything can't be simplified for a kid,its not worth understanding.And the illustration is awesome too.Nice share.